Two first class traditional rulers in Yorubaland, the Ooni of Ife, Oba Adeyeye Ogunwusi Ojaja II and the Oluwo of Iwo, Oba Abdulrasheed Akanbi,Telu have denied media reports that the two are embattled in a rift. The duo said the reports are untrue and mere insinuation. The development came at the heels of a peace meeting of the Osun State Traditional Rulers Council at his palace in Ile-ife on Thursday, where Oba Ogunwusi, who is reportedly not in good terms with the Oluwo of Iwo, Oba Abdukrasheed Akanbi, told the latter that he had not been prevented from attending the council meeting. The Oluwo has never attended the meeting since he ascended the throne in 2015. 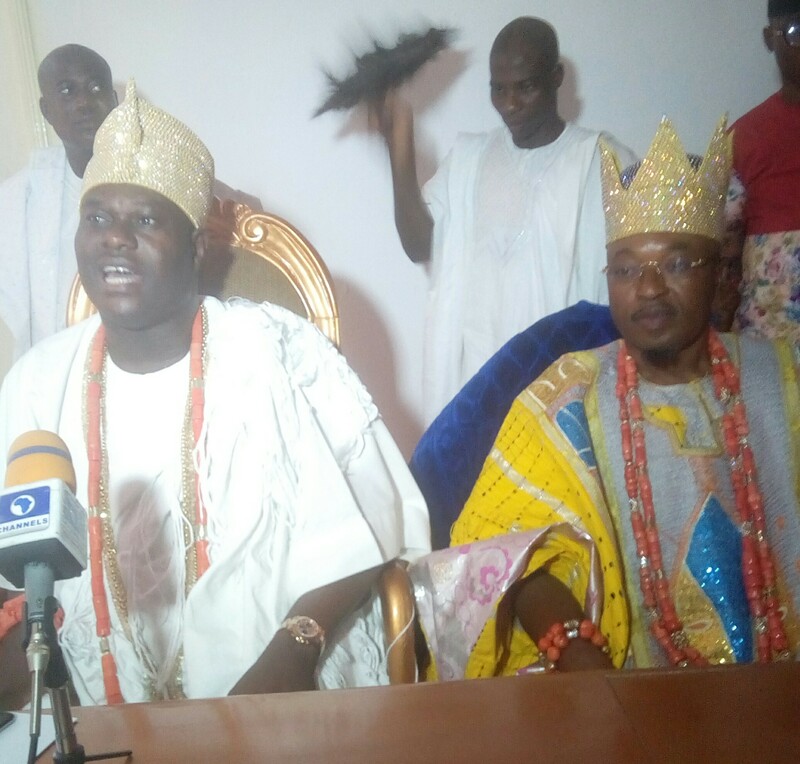 It was gathered that some Obas of the council had during the last meeting held on July 4, 2017, raised the issue of the Oluwo and they resolved to go to Iwo to go and prevail on him to attend council meeting. The Ooni of Ife, who arrived at the venue of the meeting went round and greeted all the traditional rulers one after the other while the monarchs stood up to acknowledge his greetings. 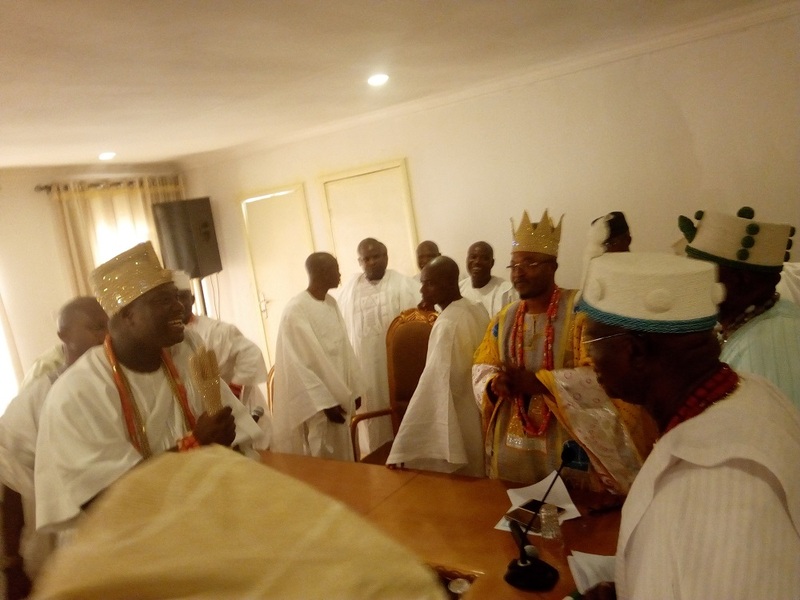 The Ooni, who presided on the meeting prayed for the monarchs and the towns each of them presided over. Oba Ogunwusi said, “It is been long we held this meeting. The meeting is usually held on a monthly basis. This is not the time to point accusing finger at anybody. “The Timi came to me and told me that he would not be here because he was traveling out and that he had scheduled the trip before the meeting was called. So, also is the Orangun of Ila. “Some traditional rulers have departed the world since our last meeting the Olubosin of Ifetedo, Salu Edun Abon and Olulamokun of Yakoyo. “We should portray ourselves the way we should. We should carry ourselves with dignity and royalty. We should unite and stand as one. Our meeting is how to bring about development to our state and the nation. Speaking, the Oluwo of Iwo, Oba Abdulrasheed Olawale said there peace and harmony among the traditional rulers in the state. The Olojuo of Ido Osun, Oba Aderemi Adedapo, who is the secretary to the Council of Obas and about 70 other traditional rulers were in attendance.